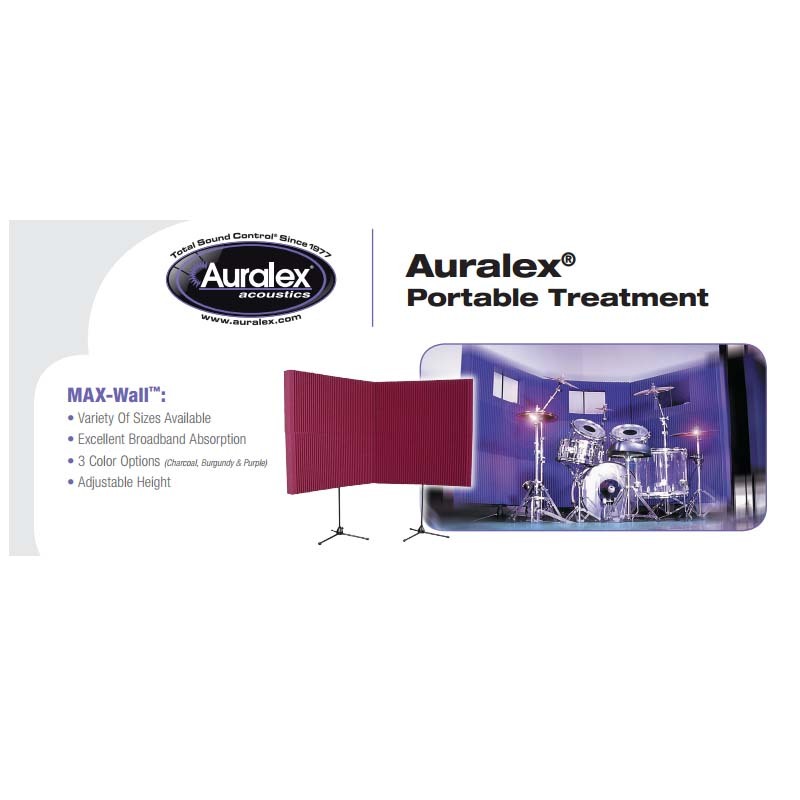 More on the Auralex Acoustics MAX-Wall Portable Sound Absorption Recording Booth Kit (Burgundy) MAX1141BUR below. Auralex's innovative "MAX-Walls" are Mobile, Absorptive and eXpandable. 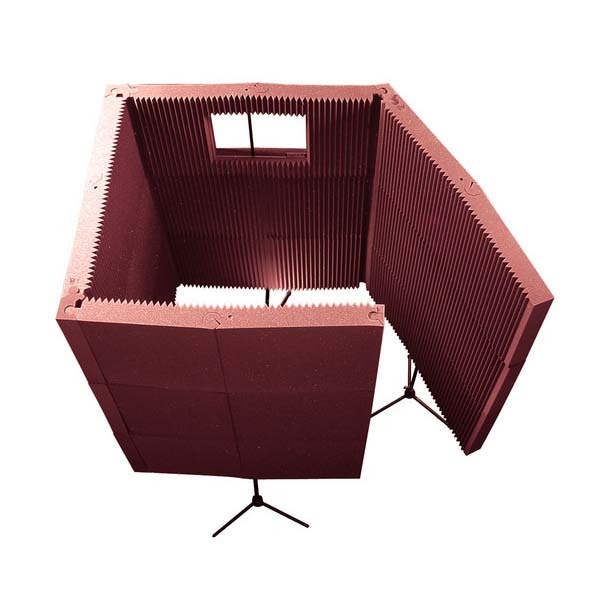 Perfect for rental spaces, temporary ISO booths or traveling studios, MAX-walls offer great flexibility, minimal set-up time and simple expansion/re-configuration. Panels are thick enough to offer a high-degree of sound containment without complete absorption. 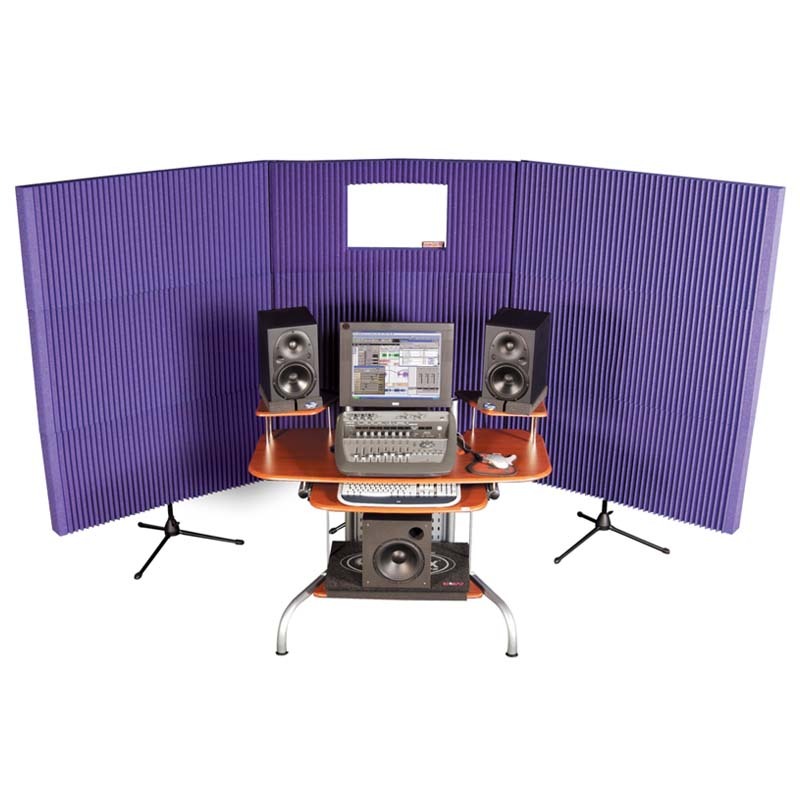 The MAX-Wall is a portable acoustical treatment system with excellent broadband absorption with and NRC of 1.05, comes in a variety of size options and offers three colors from which to choose. The patented, modular design allows adjustable panel height and a plethora of configurations. The interlocking MAX-Wall panels can create a gap-free enclosure. Eleven MAX-Wall panels in Burgundy. High-level broadband control and absorption, even at low frequencies, because all sides of the MAX-Wall are exposed. An entirely mobile design, which allows you to record or mix music anywhere at any time. Patent-pending, interlocking panels, designed for easy customization as your acoustical needs change. 4 inch thick acoustical StudioFoam. 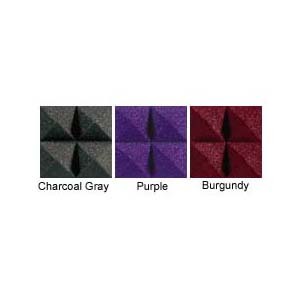 3 available color choices: Burgundy, Charcoal, or Purple. See related products below. Quick and easy set-up, with no tools or adhesives required. Click Here for the MAX-Wall Instructional Sheet.